Please contact KCCDC for current availability and rates. We would love to give you a personal site visit of our facility. Please give us a call at 205-620-6720. We maintain a year round waiting list for potential enrollment. We encourage parents to submit the completed Waiting List form as soon as they are confident of their need for future enrollment. Expectant parents are encouraged to complete the Waiting List as well. Once the Waiting List Application is submitted, we will contact you when the appropriate position is available. Although we cannot absolutely guarantee enrollment for a specific time frame, we will do everything possible to accommodate requests as availability occurs. Please contact us if you are interested in additional information concerning the waiting list at 620-6720. We offer Full & Part-time positions. 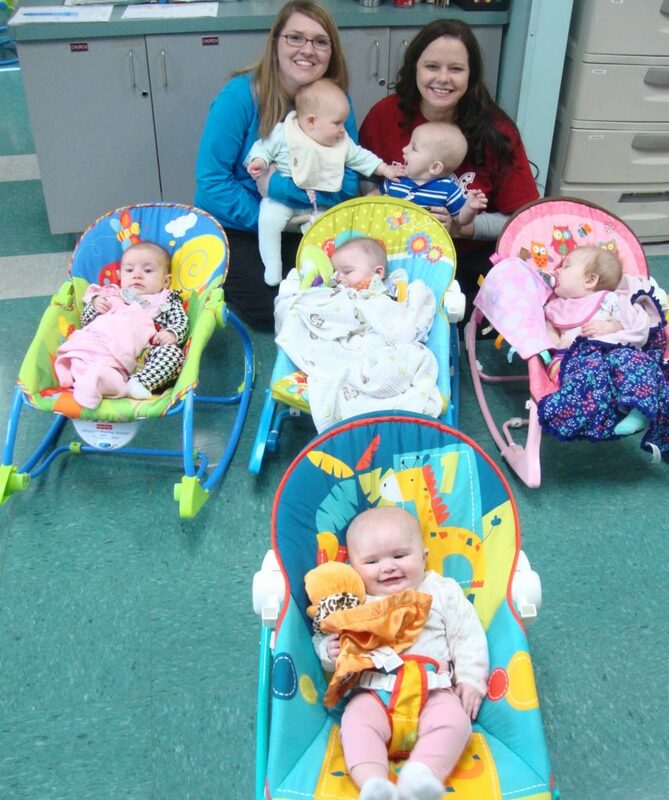 Kingwood Child Development Center is a year round daycare/kindergarten facility. We are open Monday through Friday from 6:30 a.m. to 6:00 p.m. for ages 8 weeks to 4 year olds. Our facility is blessed to have loving, dedicated staff to teach and care for each child enrolled. We are also privileged to have a full time nurse on staff. Our housekeeping and maintenance staff is an integral part of the exemplary cleanliness of our facilities. We have age appropriate playgrounds that have restricted outside access to ensure the safety of the children. 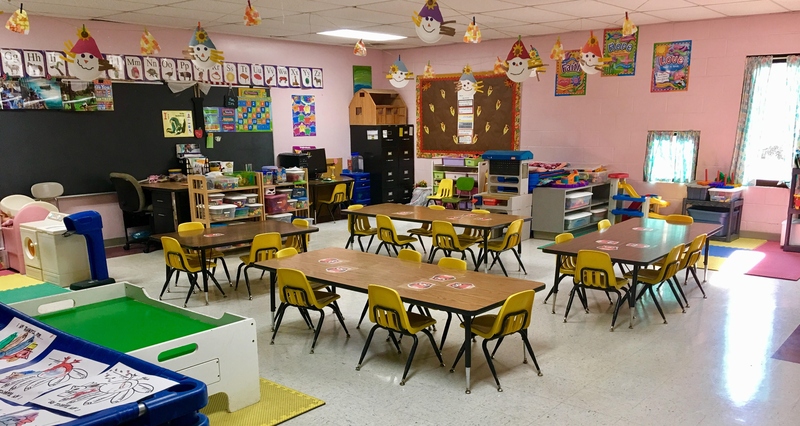 The following ages for the daycare classes are approximate; class determination is based on age and developmental skills on an individual basis. Our teacher to child ratio for this age group is approximately 1 to 4. Our teacher to child ratio for this age group is approximately 1 to 7. Our teacher to child ratio for this age group is approximately 1 to 11. Our teacher to child ratio for this group is approximately 1 to 16. An activity fee is due for all K4 students which will cover consumable supplies, in-house field trips, student insurance, school media, KCCDC yearbook and ABEKA Curriculum. You may pick up a current copy of KCCDC’S Policies and Procedures at the main KCCDC office desk. “As parents of two toddlers at KCCDC, we feel blessed that our girls are attending a facility where they are receiving a structured balance of education and playtime while being given the opportunity to worship and love the Lord as a part of their daily environment. KCCDC is not just a daycare, but a family of teachers, students and parents, coming together as one to glorify God..."
“From the moment I first toured KCCDC I felt in my heart that this was the perfect place for my children and three and a half years later I feel even more strongly about that. From the administrative staff, to the teachers and nurse, everyone at KCCDC exemplifies the love for my children that I was looking for in a daycare..."
“Our son has been at KCCDC for nearly four years now. The love and care he has received has been so comforting to us. As a teacher, I appreciate the instruction that my child has received to help prepare him for school. I am comforted to know that he is in a safe and nurturing environment when I am at work. Our family’s experience at KCCDC has been a positive one from our son’s time in the infant room up to preschool..."